If you’ve been weighing the decision of whether or not timeshare cancellation is a good option for you, you’ve likely looked into timeshare exit team reviews and timeshare exit team cost to try to find the best service and option for you. Figuring out how to get out of a timeshare can feel overwhelming and many people who research the process may talk themselves in to just keeping their timeshare assuring themselves that they will actually start using it. Let’s go over some common reasons people do decide it’s time to get rid of timeshare. It’s just too expensive. Maybe you changed jobs, a spouse stopped working, you had unexpected medical costs, or fees have just increased so much over the years is just isn’t feasible anymore. 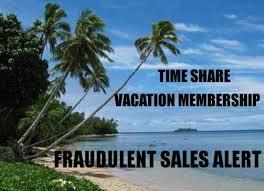 Financial reasons are the most common reason people decide that it is time for timeshare cancellation. Life happens and what was once affordable or a good use of your money just might not be anymore. 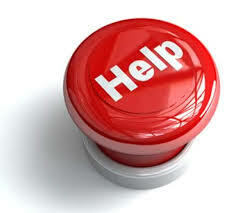 Our timeshare exit team hears this reason often when people want to know how to get out of a timeshare. You just don’t use it. Maybe you don’t vacation as much as you thought you would, after all you still have a lot of other expenses involved in travel even if you have a timeshare paid for. Maybe the times offered don’t work with your schedule, maybe you have a different job that doesn’t allow such flexibility, or maybe health changes in your life have made it difficult to travel for extended periods of time. These are very common reasons to consider timeshare cancellation. You don’t like the resorts. Timeshare companies have changed vastly over the years and they now often have several properties to choose from and a variety of amenities. Maybe you once enjoyed going to crowded resorts filled with families and children but now that just isn’t for you. Maybe you’re more interested in just renting a quiet vacation rental where you have complete privacy, can cook your own meals, and could even bring pets with you. It’s not uncommon for people to look into how to get out of a timeshare when they realize they just don’t like the timeshare locations, amenities, or services. No one in your family wants it. Timeshares are most frequently purchased by people in their late 40s or 50s who plan to or are already retired and see themselves traveling a lot in the future. It works great for them and they get their use out of it for ten or more years. The good news is that you can bequeath a timeshare to someone but what if your children don’t actually want it or you don’t have anyone else to give it to? If you aren’t using it, you may decide that continuing to pay maintenance fees just doesn’t make sense and it would be better to get rid of timeshare. Whatever your reasons are for considering how to get rid of a timeshare, the fact that you are thinking about it likely means that timeshare cancellation might be a good option for you. You may consider how much you’ve already put into it and have a hard time letting that go but if it served its purpose for you for a period in your life consider it worth it and don’t continue to put money towards it anymore. It’s not worth paying maintenance fees or worrying about the expense if you just aren’t using anymore or worse yet if you can’t for various reasons.